VIA Outlets – the newest and fastest growing owner operator of outlet shopping destinations in Europe – continues the transformation of its portfolio across Europe. An extension and remodelling programme of €29 million focussing on three outlets in Sweden, Spain and Poland has just started earlier this autumn to help increase the overall guest experience and better position the outlets as premium shopping destinations across Europe. VIA Outlets recently started works on the extension of its Hede Fashion Outlet, located in Gothenburg, Western Sweden. The programme will add an additional 2,700 sq. m. to the centre, bringing the total to 19,000 sq. m., and increase the number of stores by 15, bringing the total number to 75. The announcement comes just months before the opening of a new train station right next to the outlet, which will allow visitors to get from Gothenburg’s city centre to the outlet in only 20 minutes. The total investment for this centre amounts to €11 million and the extension is set to open in October 2019. The works in Sevilla Fashion Outlet in southern Spain commenced in October and include a complete relaunch of the food and beverage offer, the implementation of a further four new F&B kiosks and additional parking spaces. 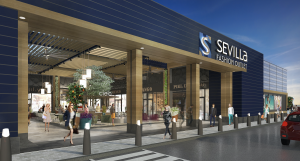 Further works will be conducted in 2019 to enhance the exterior and interior aesthetics of the centre and help cement Sevilla Fashion Outlet’s role as the dominant outlet centre not just in Sevilla, but the entire Andalusian region. The total investment for this centre amounts to €13 million. 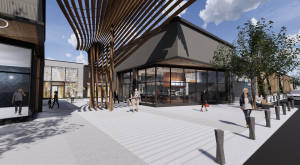 The Wroclaw Fashion Outlet refurbishments will start in 2019 and include remodelling of the façade and of the interior of the centre to help increase the guest experience, with the total investment amounting to €5 million. The refurbishment works across the three centres adhere to international standards for sustainability. The VIA Outlets portfolio recently received the BREEAM In-Use certification, and the Hede Fashion Outlet extension has been designed to achieve LEED Gold certification. VIA Outlets is a joint venture between APG, Hammerson, Value Retail and Meyer Bergman. It currently owns a portfolio of 11 premium fashion outlets across Europe, offering over 259,000 sq. metres GLA and over 850 brands in nine European countries. Every year, over 30 million guests visit the different locations across the portfolio. VIA Outlets saw over €1 billion in brand sales during 2017.